Michael Cole for Ohio 26 House District – Vote Michael Cole State Representative Ohio 26th House District. As your experienced leader, Michael Cole is answering Central Ohio’s call to strengthen public education, broaden career pathways and improve quality of life in Ohio’s 26th House District.  Michael Cole is your experienced leader committed to moving Ohio forever forward. My years of service have shown me, we must take our fight to the Statehouse. From public education to affordable housing, there is work to be done. Michael Cole is answering Central Ohio’s call to strengthen public education, broaden career pathways and improve quality of life in Ohio’s 26th House District. The primary election is May 8, 2018, and I welcome your support. Make a donation or volunteer today, but most importantly get out and vote!